No matter how hard you try to be healthy, sometimes the long dark cold days of winter will get to you. Will spring just hurry up already?! 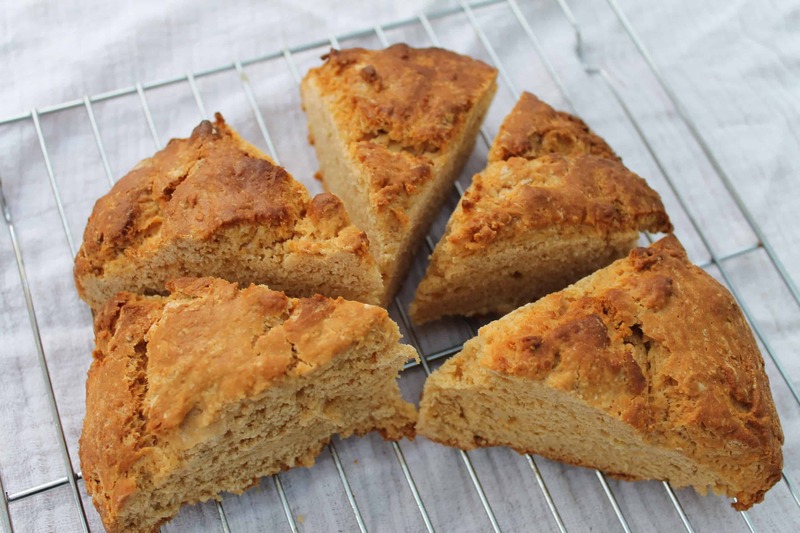 Cold days call for a comforting batch of caramel scones. Possibly to be shared with family. Possibly not. 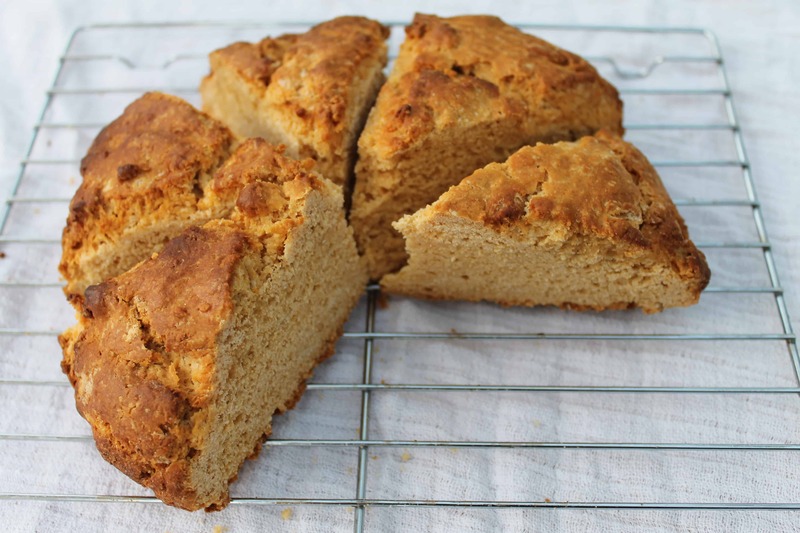 These caramel scones were an experiment as I made some caramel sauce recently, which I used to drizzle over a gorgeous caramel bundt cake. There was still some left so I thought why not use caramel sauce in place of most of the milk in a scone mixture and see what happens? 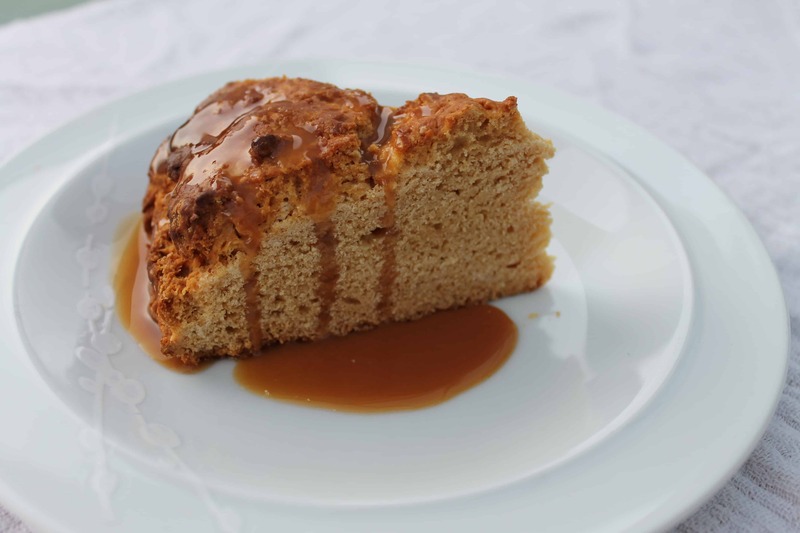 The recipe I used for the caramel sauce is here on Confessions of a Bright-Eyed Baker. Made only using granulated sugar, milk and a little salt. Happily the scone experiment worked, and produced a gorgeous caramel colour scone just crying out for for a winter’s day. Perfect for a quick breakfast on the run, or tea-time treat. Warmed and drizzled with more caramel sauce, it was also a comforting and sinful pudding. Custard would go really well for an even more comforting dessert. Place the flour in a large bowl, and mix in the salt. Cut the butter into small cubes and then rub it in with your fingertips until the mixture resembles breadcrumbs. Pour in the caramel sauce and milk and mix with a metal spoon at first, then bring it together with your hands until you have a soft dough. Shape the mixture into a rough round shape, then place it on a lined baking tray. Press down on it gently to make a disc shape. Score with a knife and then brush with milk. Bake at 180 degrees for 20-30 minutes until risen and golden brown. Remove from the oven and place the scone round on a cooling rack to cool. If not eaten straight away, keep it in an airtight tin. Wow, a caramel scone. Sounds so good and with the nights drawing in, it sounds like something I’d very much like to try. Have bookmarked. 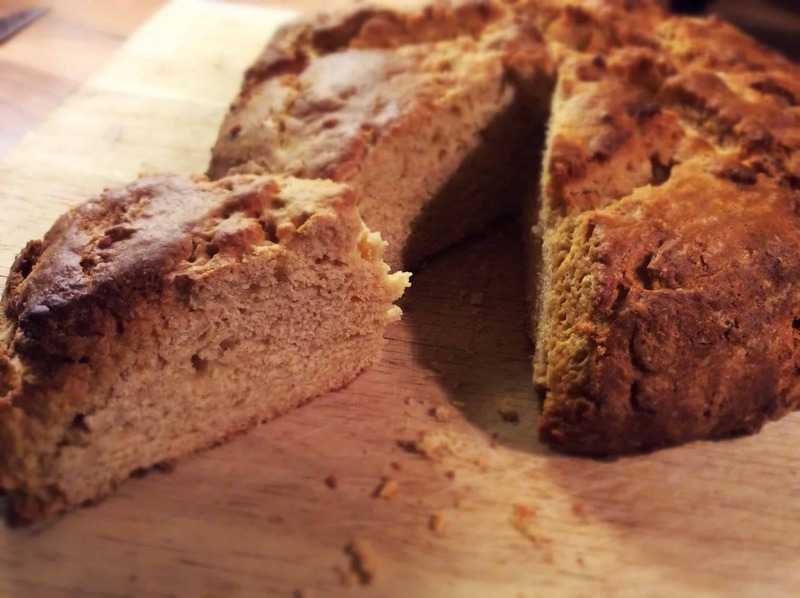 Ooooo – I had not considered drizzling caramel on a slice of scone so that is a great idea! I am caramel crazy this week!